Do not think that buying a budget conservatory is like buying a budget kitchen. You can purchase a kitchen from a DIY store, top it with granite and fit quality appliances and you will have a kitchen that looks and performs like a kitchen twice its price. This is not the case for a conservatory. A low price conservatory will just be a cheap looking, poorly designed plastic attachment on the rear of your property adding little or no value and quite possibly even reducing the value & saleability of your home. They will generally be under-designed & under-equipped in order for the salesmen to reduce the price to make an attractive deal with no care or awareness of the amazing possibilities of conservatory lifestyle. 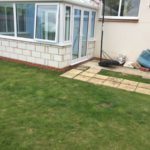 As conservatories are generally exempt from Building Regulations, many conservatories are built with inadequate depth of foundations, leading to movement and subsidence in years to come. Most do not have correct insulation under the floor slab making the floor colder than it would normally be with stone or ceramic floor tiles. Conservatories are nearly all glass structures and need special requirements for ventilation & heating, in order to create a stylish haven in which you can choose to relax in – 365 days a year, 24 hours a day, whether it is at 11.00pm in January when the outside temperature is 3 below freezing, or on a Sunday afternoon in August when the temperature is in the 80’s. Hot air rises and when air cools it drops, this obvious law must not be ignored when designing & equipping your conservatory, as this rising & falling of warm & cold will be much more exaggerated in your conservatory than in any other room in your home. 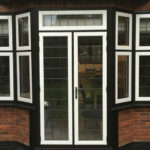 It is essential to be aware of the direction in which your conservatory faces – North or South or somewhere between. But even in a direct north facing conservatory when in the shade a majority of the time, a lot of heat will be generated in the summer months. Heat & glare reflective glass in the roof will make a huge difference but will not remove the need for adequate roof ventilation. The heat will rise and sit in the roof space, creating a stale, stuffy atmosphere even if the windows below are open. You will get a lot of flying insects in the summer which will always fly to the highest point, buzzing annoyingly trying to escape. Manually operated roof vents are awkward to use, grabbing a 5ft long stick handle shaped like something you would crank start a 1950s car with, to wind open your roof. The roof mechanism squeaks when turning, it takes time & you simply will not use the roof vents unless in extreme heat. Electrically operated roof vents are excellent, you simply touch a control on the wall and the roof vents open, instantly bringing a cool, clean breezy feel to the space and freeing annoying buzzing flys, wasps or bees. The motors we fit are of a high quality and are grief free. They are also very secure, so that you can leave the roof vents open a few centimeters when going out without the fear of a break in. Up to 4 roof vents can operate off of 1 x switch. You will find that with motorized roof vents you will rarely need to open the windows, just one of the French doors. Opening windows in a conservatory often involves leaning over furniture, light fittings, plants or people, although we always put plenty of opening casements in, as it is pleasant to have a breeze blowing across your face when relaxing on a warm afternoon or evening. Basically to ventilate properly on a hot day you need the cool air coming in low and hot air escaping at the highest point. 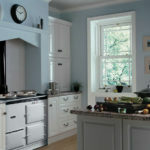 Correct heating is more important in your conservatory than in any other room in the house. Many companies still recommend electric heaters….. they do work and will heat the conservatory. Under-floor heating is by far the most effective heating for a conservatory. Many have fears of installing a system under the floor in case it leaks or breaks down. Water driven under-floor heating water has no joints under the floor so can only go wrong or leak above the ground if at all, so can be dealt with the same as any other heat source. Electric cable underfloor heating is different, you must ensure that the cables are completely covered with screed and have not slipped in between or over the edges of the Celotex insulation boards. If the cables are not covered with screed they will burn out and this can take up to 2 years to develop. A repair is possible but only by lifting the area of floor in question and taking up the screed to expose the damaged cables. As most conservatories have stone or ceramic floors apart from the summer, the floors will always be cold and uninviting. There is nothing nicer than walking barefoot on a warm stone floor or even lying down on the floor to soothe an aching back after a hard days work. As heat rises & cold air drops a conservatory heated by radiators will have many more ‘cold zones’ than a conventional brick built extension. The floor will always be cold and the area around your feet will always be cooler than above. Not a recipe for a cosy haven in the dark of night, sipping a glass of wine & starring up at the stars whilst enjoying your favourite music. 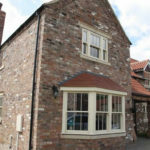 Ensure that the glazing style of the frames blend or compliment the style of your property. It is essential that you avoid the outcome of your conservatory looking like an overdressed wedding cake stuck on the back of your property. 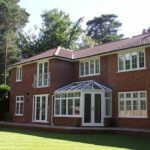 The height of the roof, the height & proportions of the casements, the positioning of the doors, the ridge detailing will all make a massive difference as to whether your conservatory flows like a quality extension or just looks brash & stuck on. Privacy is of utmost importance to ensure that your conservatory is the sanctuary that it should be. If you are close to a boundary with your neighbours overlooking, or up against an ugly fence it is important to block that out as much as possible. A wall to gutter height of 2100mm will create complete privacy and give you the opportunity to place a flat screen TV or hang a favourite piece of art. Most companies still seem to recommend a run of fanlights along the top of the wall, being under the illusion that it will allow light to flood in. The entire roof is glass, light will flood in. Fanlight runs on top of a wall (unless the wall is at least 2100mm height ) will look very 70’s. It’s dated, the frames will sit too low, you will lose the feeling of total privacy as anyone walking around inside the conservatory taller than 5ft 8 will be able to see over the wall. 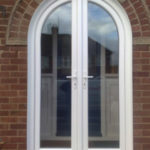 A wall of around shoulder height is neither one thing nor another, and fitting obscure glass into the fanlights will make your conservatory feel like a downstairs WC. If you were building an extension on a boundary, you would not want to place windows along the side to overlook the boundary, that look was popular 20 years ago. You would create light in other ways. You must consider your conservatory as an extension. The high side wall once plastered and painted will give your new space the feel of really being part of the house. The neighbours will be out of the equation….and you can get on with enjoying life! We can offer various roof structures in uPVC or Aluminium, the aluminium roof bars that we do are up to 100mm deep internally and give a really solid appearance being both contemporary and traditional. We have a very qualified and experienced in-house architectural design service, in order to provide you with a 1:50 scaled colour drawing of each option that we propose, showing the entire rear elevation of your property with the proposed design. It can often take 3 or 4 drawings to perfect a design, making fine or major adjustments after discussions with your self & our in-house design team. 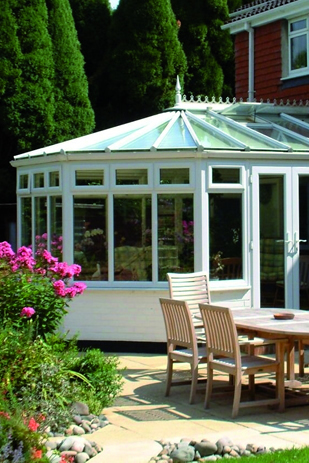 This enables you to choose your perfect conservatory with no pressure and complete peace of mind. The complete Mcleans Windows Team love ‘Conservatory Lifestyle’ and feel very passionate about helping you create an amazing space in which you will gravitate to, whether entertaining, spending time with your family or grabbing some ‘me time’ to relax. We have been designing & building Conservatories for 20 years and will be able to guide you through the maze of conflicting ideas & fallacies. Our skills extend to interior design & lighting, we have a large network of connections in the trade and can assist you with contacts for many other projects should you require it.